I am thankful that my boys LOVE fruit and of course I love all the health benefits associated with eating fruit. With my 2 yr old, fresh fruit can be sticky and messy. 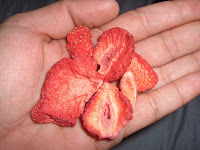 S o I was really interested in learning more about Today’s Farm Freeze-Dried Fruit Snacks. We were able to try the Apple Cinnamon, Pineapple, Peach, and Strawberry flavors. I have to say with my 3 boys they did not last long , but I made sure I was able to try each flavor. They all were great but I think my favorite was the Strawberry. They are very convenient . The bags are a perfect serving size and they easily to fit into my older boy's lunches, diaper bag, or or even my purse. Today's Farm gives you the nutrition without the mess or spoilage. A low calorie snack ! No Fat or Cholesterol ! 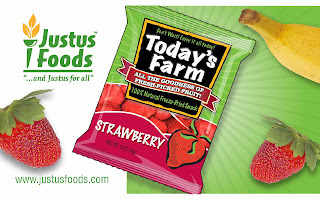 Justus Foods, Inc. is a Food Manufacturing company that is making “Freeze-dried” Fruits under the “Today’s Farm” brand. Rusty Justus started Justus Foods, Inc. in April 2006 after many years working in the food industry. Justus Foods is making 4 varieties of freeze-dried fruits in single-serving packages about the size of a regular bag of potato chips at this time. The products are packed in a foil “pillow-style” bag that has an extended shelf-life of at least 18 months. The 4 varieties of freeze-dried fruits available now are: Sliced Strawberries, Cinnamon Apple Wedges, Pineapple Chunks, and Peach Slices. BUY: Visit Today's Farm and save 10% , enter code blue - expires 8/31/09. A "Bag O' Gold" !!! Contains 1 full package of each of the 4 flavors (Apple Cinnamon, Pineapple, Peach, & Strawberry) packed in a prospector's burlap bag. Winner Has been emailed and has 48 hours to reply ! One Today's Farm Freeze-dried Apple Cinnamon package = 1 Medium Size Apple. you get 2 servings of fruit w/ the strawberries & apples in 1/2 cups! The strawberry pack has 160% of your daily Vitamin C, nice. More flavors will be available in the near future. All the water is sucked out of these fruit snacks! I learned that Today's Farm Freeze-dried Fruit is a modern wonder. All the water and weight is removed, leaving the nutrition, size, and flavor for you to enjoy. There is 160% Vitamin C per serving of Strawberry! That's pretty good. I learned that more snack varieties will be available in the near future. I learned that there is No Fat or Cholesterol! The products are packed in a foil “pillow-style” bag that has an extended shelf-life of at least 18 months. All flavors (except the Peach) have 0 sodium. Rusty Justus started Justus Foods, Inc. in April 2006 after many years working in the food industry. Justus Foods is making 4 varieties of freeze-dried fruits in single-serving packages about the size of a regular bag of potato chips at this time. The products are packed in a foil “pillow-style” bag that has an extended shelf-life of at least 18 months. There are going to be additional flavors next year. The products are packed in a foil “pillow-style” bag that has an extended shelf-life of at least 18 months. Thanks for the chance to win. From the site: We will ship all orders within (1) day of receiving the order. As for the day you will receive your order, it depends on your geographical location and the UPS service that you selected. We ship from Central Texas area (near Austin). We will send out a email to you from UPS that gives the Tracking Number and approximate delivery date with every order. We will ship all orders within (1) day of receiving the order. As for the day you will receive your order, it depends on your geographical location and the UPS service that you selected. 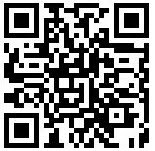 We ship from Central Texas area (near Austin). We will send out a email to you from UPS that gives the Tracking Number and approximate delivery date with every order. All the water and weight are removed from the product. Justus Foods is based in central Texas. Thanks for the contest! Justus Foods promises to deliver high quality freeze-dried fruit snack products, and if you are not satisfied with your order for any reason, they will issue a refund or exchange. Pretty good policy! I learned that Today's Farm Freeze-dried Fruit is a modern wonder. All the water and weight is removed, leaving the nutrition, size, and flavor for you to enjoy..very cool! you get 2 servings of fruit w/ the strawberries & apples in 1/2 cups. Thanks. They remove all water from the product. Today's Farm also sells: Today's Farm - Freeze-dried Fruit (Variety Case) 20 ct. Yippee, for bulk. They have a satisfaction guarantee. Each package has 1/2 cup of fruit. Wow, like that it is low calorie, natural, no preservative, no fat and no cholesterol. YUM! i love dried fruit snacks!!! I like that they are low calorie and naturally fat free. The strawberry pack has 160% of your daily Vitamin C. This is fantastic. I learned that "All the water and weight is removed, leaving the nutrition, size, and flavor for you to enjoy." I see that they're based in Texas - not far from where my sister lives. Today's Farm - Freeze-dried Strawberry (Case) 20 ct.
Each single serving of strawberries package has 45 calories! i saw that More flavors will be available in the near future. I found out that they're coming out with more flavors soon! One Today's Farm Freeze-dried Apple Cinnamon package = 1 Medium Size Apple. Neat! I learned that they don't use any preservatives. That's good if you have ever looked at the long list of ingredients on a normal bag of dried fruit. I saw that one .5 serving is equal to 1 cup of fresh strawberries. They look yummy! There is 2 servings of fruit in 1/2 cup. The strawberry pack has 160% of your daily Vitamin C.
The strawberries provide 160% of the Vitamin C needed on a daily basis. Great guarantee on their products! Justus Foods promises to deliver high quality freeze-dried fruit snack products, If you are not satisfied with your order for any reason, please Contact Us immediately for a refund or exchange. We promise to do everything we can to make things right. Thanks for the giveaway! Each pack is only 1 point Weight Watchers. A single package of strawberry fruits weighs .50 ounces! Fat Free and Cholesterol Free- Whee! The strawberries have 4 grams of fiber per serving. More flavors will be available in the future. They ship all orders within (1) day of receiving the order. I learned that all water and weight is removed leaving only nutritional goodness. They contain no fat or cholesterol! Justus Foods is based in central Texas. Today's Farm Freeze-dried Fruit is a modern wonder. All the water and weight is removed, leaving the nutrition, size, and flavor for you to enjoy. Click on the nutritional labels to enlarge and view. There is absolutely no sodium in these snacks, cool! I am following you on Twitter and tweeted your contest! There is 160% Vitamin C per serving of Strawberry. The crunchy pineapple tastes better than fresh pineapple. It has a shelf life of up to 18 months because of the packaging. They're in Georgetown TX!!! Thanks. Today's Farm Freeze-dried Apple Cinnamon package is .75 oz. One package = 1 Medium Size Apple. One pack of cinnamon apples is equal to an apple. Orders are shipped within 1 day of order receipt. I found out that all the flavors expect peach has zero MG of sodium. The peach has 45MG. They guarantee their products so if you are not satisfied with your order for any reason, you can get a refund or exchange.